I know I’ve been obsessing over Green Book lately. I wrote my thoughts here on Green Book winning Best Picture, but it should also be noted that it won Best Original Screenplay, and I thought that a brief breakdown of the script was in order. What was special about this script? What did it do that worked? What did it do that was unique? What did it do that separated it from the other scripts that were also nominated? 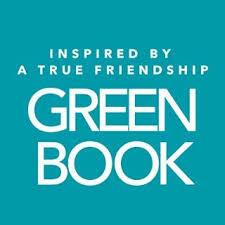 One thing the screenplay for Green Book did that was special was that it took risks. Anyone who follows this blog knows that I am a stickler for story structure, especially for unknown writers. However, a good writer can mess around with story structure so that it doesn’t necessarily hit all of the beats at exactly the expected moments and still end up with a terrific screenplay. Taking it a step further, most people who read this blog regularly will know that I advocate for 4-Act structure rather than the more traditional 3-Act structure that most experts espouse. Green Book is actually very close to only being three acts. I say, “very close” because it does have an act 2B, although it’s very short. I can confidently say this because Green Book follows a clear Hero’s Journey outline, which almost by default, makes it a 4-act story. That’s the beauty of following the Hero’s Journey model in your writing. As Christopher Vogler explains in his book, The Writer’s Journey, the Hero’s Journey is flexible and allows you to play with the structure. You can change the order of the stages of the Journey, as they did in Green Book, and still have a tight and compelling screenplay. You can have some stages last longer than usual and make others very short, again as they did in Green Book, and still have a structurally sound story with conflict and an effective dramatic arc. Here is an outline of the stages of the Hero’s Journey and where they fit in to the plot of Green Book. 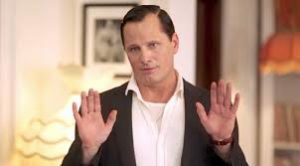 Ordinary World: Tony “Lip” Vallelonga (Viggo Mortenson) is a nightclub bouncer at New York City’s Copacabana in the early 1960’s. We learn that the club is going to be closed for several weeks and he’s going to have a hard time getting by. We see he is respected, tough, and resourceful (stealing then returning a customer’s hat for profit and praise, covering a fire hydrant with a trash can when he parks in front of it, and winning a hot dog eating contest). We also see that he’s racist when he throws away drinking glasses after his wife, Delores (Linda Caellini), offered water to two African-American plumbers who fixed his kitchen sink. 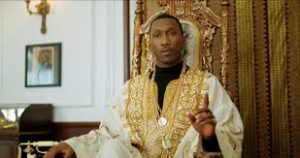 Call to Adventure: He’s offered the job by Dr. Shirley (Mahershala Ali) to be his driver as Dr. Shirley’s Trio plays a series of musical engagements in the Midwest and the Deep South. Refusal of the Call: Tony turns him down when he’s told he needs to do laundry, shine shoes, be a personal valet, etc. He tells Dr. Shirley that he’s not a butler. Then he turns down another job as muscle for a mobster. Meeting the Mentor: There are two examples that meet the classic definition. 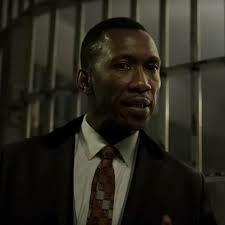 The first is when Tony meets the record label execs who pay him the money and give him the Green Book, that lists the hotels and restaurants that Dr. Shirley can stay and eat at when travelling through the South. This is a very archetypal moment, as they serve the classic mentor role of giving the Hero tools that he’ll need on his journey. Then Tony meets Dr. Shirley’s backup musicians, Oleg and George. Oleg will prove to be more of a Mentor, although his mentoring duties are limited but important. Oleg ends up being an archetypal Shapeshifter, as well, as he not only acts as a mentor, but spends scenes both as an enemy and an ally. Crossing the First Threshold: It’s as simple as when they get in the car and start driving. That is the point where the adventure begins and we cross from Act I to Act II. Tests, Allies and Enemies: This stage sets the rules and shows the reality of the two men not understanding each other. Tony fails several tests at the first, like during Dr. Shirley’s first concert when he plays craps with other chauffeurs. He seems to fail another test when he steals the jade stone from the gift shop, but ends up winning when he keeps the rock and it ends up being an archetypal token. He passes a test when he makes the custodian in the Indiana concert hall get the right piano for the second concert. He passes yet another test when they share KFC, but fails when he throws his cup out of the car window and Dr. Shirley makes him back up to pick it up. At this point, the two of them start to connect. Then, there is the first night in Kentucky when Tony rescues him from rednecks in a bar. Each test becomes more difficult and raises the stakes. This is especially true as they move through the South, starting with the first concert in Raleigh, NC when Dr. Shirley isn’t allowed to use the bathroom in the house, through Dr. Shirley helping Tony write the letters, Dr. Shirley not being allowed to buy the suit, and culminating with Tony bailing Dr. Shirley out of trouble at the YMCA only to build Dr. Shirley’s resentment. Approach: They’re pulled over by racist cops on a rainy night and arrested. Supreme Ordeal: They’re sitting in jail, and Dr. Shirley chastises Tony for resorting to violence and not maintaining his dignity. Dr. Shirley calls none other than Bobby Kennedy to get them out of their current situation, and then loses his cool on Tony when Tony accuses him of not being “black” enough. Reward: Tony writes his own letter. Dr. Shirley stands up for himself in the restaurant in Birmingham, which was the opposite of the capitulation with the bathroom in North Carolona. Finally, he plays “his” music, which happens to be Chopin, to an unlikely yet adoring crowd. The Road Back: A literal road back as Dr. Shirley drives the car so Tony can make it home in time for Christmas Eve. Resurrection: Tony wakes up in the car and returns to his family a changed man, no longer racist and with a broader mind of the world around him. Return with the Elixir: Dr. Shirley shows up at Tony’s apartment in Christmas Eve, and a bridge has been built. Not only is there a very effective Hero’s Journey that allowed the writers Nick Vallelonga, Brian Curie and Peter Farrely to play with the structure, but there is some sensational character work going on in this screenplay. One of the criticisms of the film was that Dr. Shirley is nothing more than a trope to allow Tony to overcome his racism. I disagree with that criticism for a couple of reasons. First of all, how the hell else is Tony going to overcome his racism? If you are a racist, the way to overcome racism is to be exposed to people of other races so that you can understand their humanity, get to know them as human beings, and develop some sort of empathy for who they are and where they come from. That’s what happens in this film. Tony wasn’t going to receive this enlightenment all on his own. He needed to go on this journey with Dr. Shirley in order to achieve this character growth, and the writers did a good job of at first giving Tony financial motivation to keep Dr. Shirley out of trouble because that’s a realistic notion. But then as the story went on, Tony and Dr. Shirley formed an emotional bond that allowed Tony to see Dr. Shirley not as a black man, but as a man. For his part, Dr. Shirley also goes through a dynamic character ark. He starts the film with the outward appearance of a confident and aloof man. Throughout the film we get glimpses of his vulnerability which gives him depth as a character. We see him as a real person with real emotions and real problems beyond his race in a bigoted world. He is truly alone and doesn’t feel a connection to anyone because of his unique circumstances. Through Tony, Dr. Shirley discovers that he can fit into all of the worlds that he either rejected or thought had rejected him. Overall, there is a lot of great technical screenwriting happening in Green Book. It is a well-structured story and has characters that change and grow in realistic and emotional ways. If you are an aspiring writer, this is a script you should study, because it demonstrates both dramatic storytelling and effective character development. This is a script worth studying and was worthy of the Oscar it won.